A female goshawk in the New Forest. For the next five months, visitors will get a privileged peek into the lives of some of the New Forest’s most impressive birdlife, thanks to high tech video technology. Wild Wednesday events run weekly during the school holidays, with fun activities for the whole family. Watch live online at www.newforestgateway.org or www.newforestnpa.gov.uk/datewithnature. A date with nature in the New Forest uses ‘raptorcam’ technology to allow viewers to follow the lives of birds of prey in their nests as they breed, hatch eggs, feed chicks and teach their young how to fly. The project is based at the New Forest Reptile Centre, two miles south west of Lyndhurst off the A35, and is run by the RSPB, New Forest National Park Authority, Forestry Commission and Carnyx Wild. Last year saw around 20,000 people visit the centre to watch the drama unfold, and online coverage also proved popular. 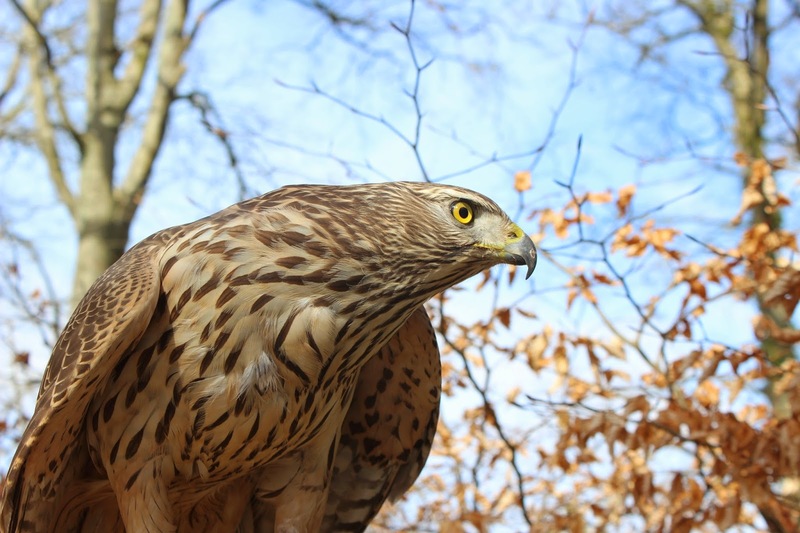 This year, visitors will be able to share the highs and lows of the breeding season with pairs of buzzards and goshawks until June, and then see footage of a hobby nest through the summer. As well as being streamed online, the footage will also be on view daily between 10am and 4.30pm at the Reptile Centre, where staff and volunteers will be on hand to explain more about the birds’ behaviour. Cameras have already been positioned high up in the tree canopy ready to capture footage of the buzzards and goshawks as they guard their eggs, with the chicks likely to appear in May. Lead ranger at the New Forest National Park Authority, Gillie Molland, said: ‘It is great to see a date with nature continuing to go from strength to strength It is an excellent opportunity for us to give visitors of all ages a unique insight into the lives of the Forest’s birds of prey. Wild Wednesday events run every Wednesday during the Easter and summer half terms and the summer school holidays, with fun activities for the whole family. This year the dates are 8, 15 April, 27 May, 29 July and 5, 12, 19 and 26 August. A date with nature also features live footage from a ‘feeder cam’, which will capture activity around bird feeders near the centre. A camera has also been set up in one of the nest boxes intended for smaller woodland birds, and the project staff are eagerly waiting to see which species will nest in there. A date with nature in the New Forest runs daily from 28 March to 6 September, 10am to 4.30pm. Entry to the Reptile Centre is free although donations for parking are welcome. 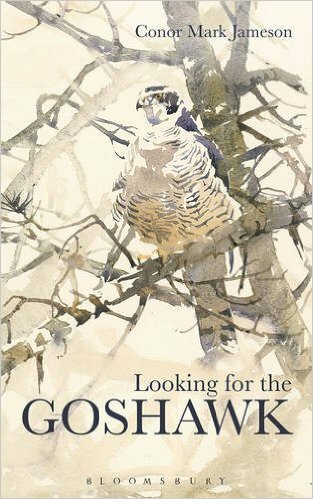 The book traces Conor Jameson's travels in search of the Goshawk, a magnificent yet rarely seen (in Britain at least) raptor. Each episode of the narrative arises from personal experience, investigation, and the unearthing of information from research, exploration and conversations. Download now on Kindle or Mobile Apps.